The Pantherella OTC socks black are made of a silk-nylon ble.. 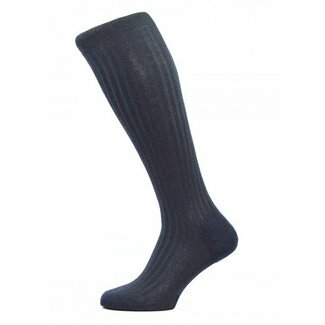 This Pantherella Earlham OTC socks black are made of a fine .. 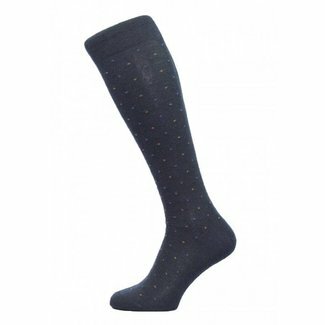 This Pantherella OTC socks navy are made of a fine quality m.. These Pantherella Earlham OTC socks navy are made of a fine ..
You can order socks and OTC (Over The Calf) socks for men here. At Quality Shop, you can choose between merino wool or cotton, plain or with pattern and socks in basic colours, but also coloured OTC socks. An extensive product range where you will definitely find a suitable pair. Men's socks come in all kinds and colours. It is sometimes forgotten, but socks are important for the care and protection of your feet. Quality Shop has opted for European brands that are characterised by manual work and quality. You will notice the difference immediately if you wear a well-fitting sock. Fine yarn, good design and a high-quality finish make the difference. Men's OTC socks are popular among the 'suit wearers'. Did you know that there is a difference between socks and OTC socks for men? Socks reach halfway the calf. OTC socks are longer and reach the knee and are therefore also called knee socks for men. This model is often worn in combination with a suit to prevent the skin of the legs from becoming visible. If you like to wear long socks, look under the name OTC socks in the product name. Hand-linked socks give that extra comfort. The English brand Pantherella has, in addition to high-quality materials, also opted for a perfect finish. They take wearing comfort into account in the design and the finish. The brand is well-known because they produce men's socks without a seam. After the sock is made by the knitting machine, the toe piece is hand-linked. This means that the toe piece is sewn by hand. It is precision work, but it makes an almost seamless sock with a high wearing comfort. Merino wool socks are often only associated with heat, but wool has many more beautiful features. Due to the fine structure of this natural fibre, it repels bacteria, making it maintenance-friendly. 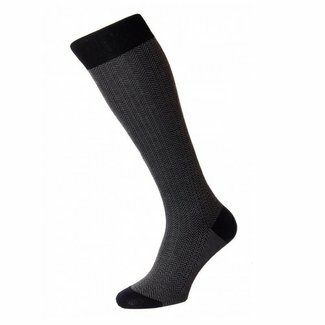 In addition, wool socks are moisture regulating, it transports moisture to the outside and does not retain moisture. Another nice feature is that wool is self-cleaning. Merino wool socks differ from ordinary wool socks. Merino wool is more numerous, it has more hairs per cubic centimeter and is therefore much softer than traditional wool. In our collection, you will find thin wool socks of merino wool, but also merino wool OTC socks. For the preservation of fit and for durability it is a wool blend consisting of merino wool and nylon. Sneaker socks for men are ideal if you opt for a casual look combined with sneakers or loafers. 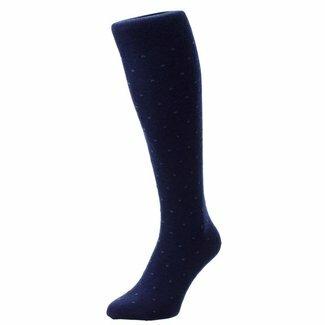 This model sock is chosen so that it is not visible when you wear low shoes. Sneakers combined with bare ankles is a trend. However, it is not good to not wear socks in your shoes. Socks for sneakers are an invention for this. 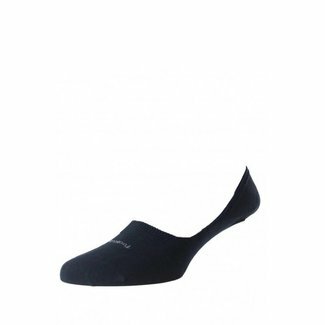 The model is cut low so that it does not protrude above the shoe and your ankles are exposed. Sometimes you cannot be crazy enough, that is why Quality Shop also offers coloured socks in addition to the basic colours. Socks are available in many different versions. Nevertheless, it is always good to have a number of basic colours in your closet. This way you can easily combine black OTC socks with different styles. Can it be more striking? Then choose, for example, red socks or for socks with a pattern.